Like losing weight, quitting smoking can be a really hard task to undertake. There are multiple treatments available to help you quit smoking such as nicotine patches and gum, hypnosis and even tablets from the doctor. Having been a smoker for nearly 20 years and having tried some of the treatments available, I know from experience that the thing I struggled most with, and the one thing these treatments didn’t offer was a replacement for the physical act of smoking. Ant also found that part of quitting really hard. Nicotine patches and gum didn’t help him because he craved the act of smoking as much, if not more than he did the nicotine. With Vaping, you’re able to choose the strength of nicotine you want to use. This is where Vaping became the victor in Ant’s quest to quit! Because he’d figured out that it wasn’t just the nicotine he needed, he was able to move down through the levels of nicotine quite quickly until he was ordering nicotine-free liquids. Once he knew he’d curbed his nicotine cravings, it wouldn’t be much longer before he’d be able to quit totally. He’s now been a non-smoker for over 3 and a half years. I’ve written before about our struggle to quit smoking and unfortunately for me, I didn’t know about Vaping until it was too late. When I tried quitting I first started by moving to hand rolling tobacco; I figured that I wouldn’t enjoy it as much so I’d smoke less. I soon got used to the tobacco and enjoyed smoking just as much as I ever had. As I’ve said, this was my main problem; I enjoyed the act of smoking too much to really put any effort into quitting. However, the expense became a major factor in my wanting to quit. The price was increasing all the time and we couldn’t really afford to keep smoking. I did manage to cut down a lot but I didn’t manage to quit before I ended up in the hospital with a pulmonary embolism. I got a blood clot because I was overweight, I smoked and I didn’t move much. Ending up in the hospital was the push I needed to finally say, enough is enough, I’m not smoking anymore. 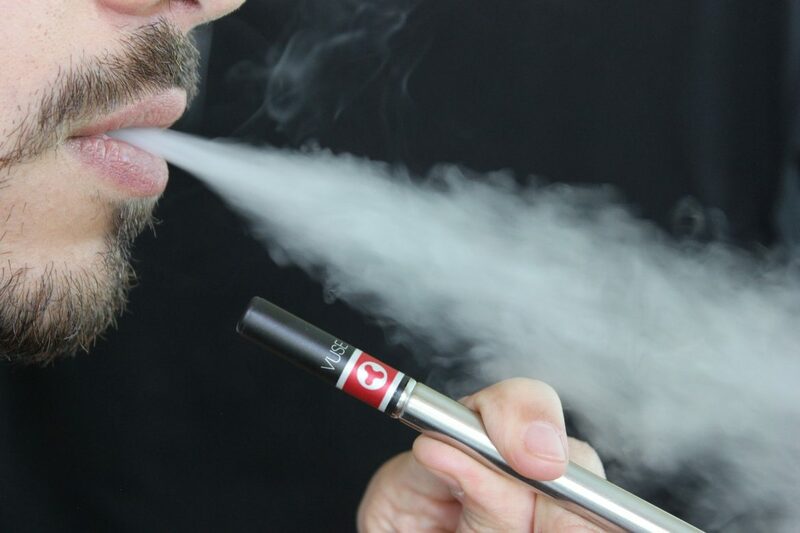 The cost of Vaping is considerably less than the cost of smoking. I know that if I’d have known about vaping when I first tried quitting I’d have been able to quit a lot sooner. The reason I know this is because a few years ago, out of curiosity, I tried ‘having a drag’ of my friend’s E-Cigarette. I was amazed at how it felt exactly like ‘proper’ smoking. My mouth was full of smoke and when it hit the back of my throat it felt like old times! For the first time since being in the hospital, I missed smoking. I actually felt a bit cheated that I’d not been able to use this method as a way to quit! It would have saved me having to spend 10 days in hospital and months of doctor visits afterwards, having my blood checked. I’m happy to say that my first and only try of Vaping didn’t make me want to start smoking again or indeed, Vaping but it did make me feel like it could be beneficial to Ant and his quest to quit. I quit smoking thanks to vaping….I smoked from being a teenager until about 4 years ago when I got a vape kit to review on my blog. I’ve not looked back since. I still vape but it’s a darn sight better than actually smoking. I spend about £15 a month now, if that. When I smoked I would spend about £100 at least.